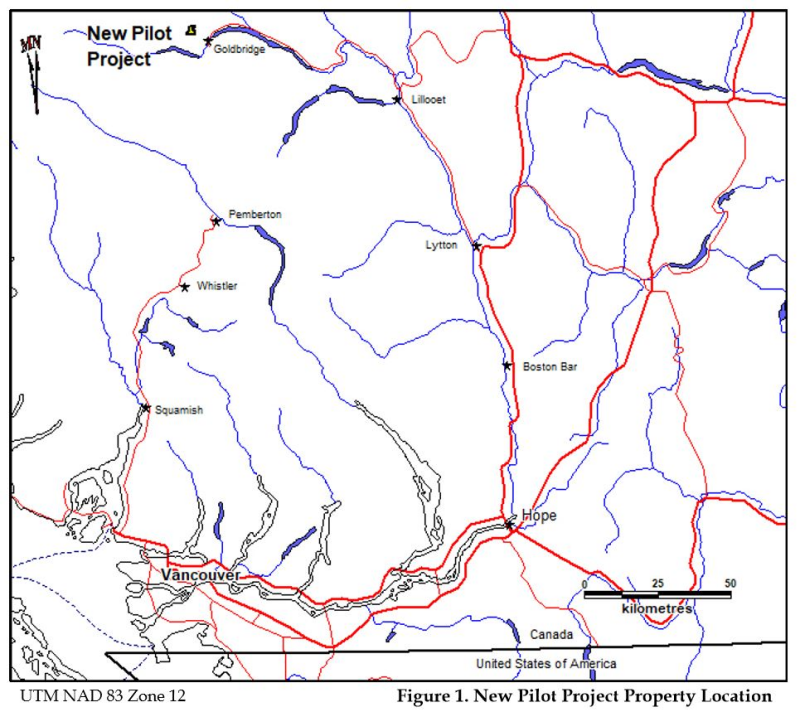 Vancouver, Canada / TheNewswire / November 15, 2018 - Nexus Gold Corp. ("Nexus" or the "Company") (TSX-V: NXS, OTCQB: NXXGF, FSE: N6E) is pleased to announce that it has entered into a mineral property acquisition agreement, dated effective November 15, 2018, with Warren Robb (the "Vendor"), pursuant to which it will acquire the New Pilot Project (the "Project"). In consideration for the Project, the Company will issue 3,500,000 common shares (the "Consideration Shares"). Between 1992 to 1994 Cogema Canada Ltd conducted detailed prospecting and sampling. 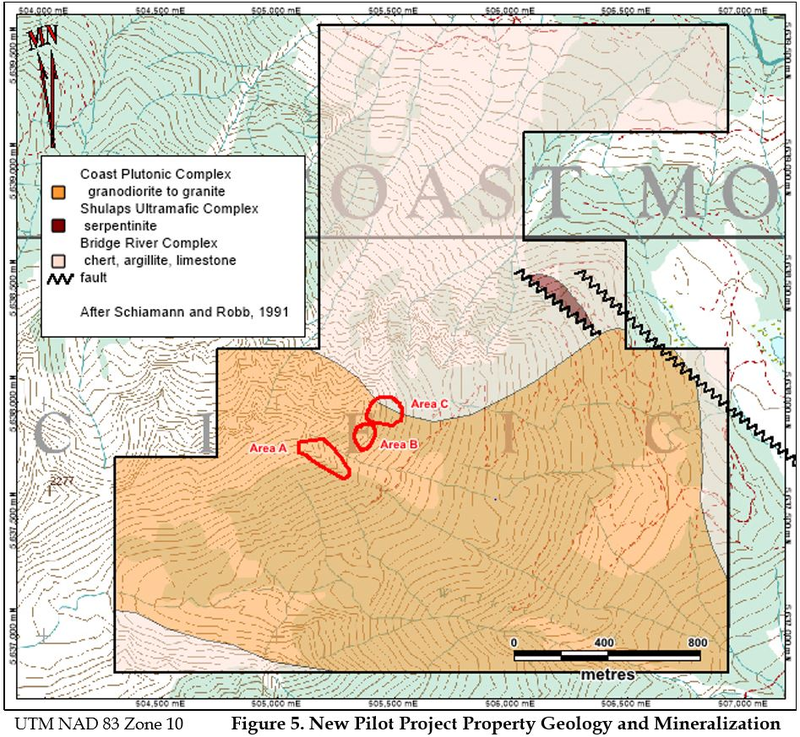 99 grab samples were taken in three areas (A, B, C in Figure 2), with three returning values in excess of 100 grams-per-tonne ("g/t") gold ("Au"), including 102 g/t Au, 106 g/t Au with visible gold, and 111 g/t Au; three returning values in excess of 10 g/t Au (17 g/t Au, 21 g/t Au, 33 g/t Au); and 14 others returning values in excess of 1 g/t Au. The Vendor is a director, and senior officer, of the Company, and is considered a "Non-Arm's Length Party" in accordance with the policies of the TSX Venture Exchange (the "Exchange"). As a result, the acquisition of the Project is subject to Exchange Policy 5.9 and Multilateral Instrument 61-101 - Protection of Minority Security Holders in Special Transactions ("MI 61-101"). In completing the acquisition, the Company intends to rely upon Section 5.5(a) of MI 61-101 for an exemption from the formal valuation requirement of MI 61-101, and Section 5.7(1)(a) of MI 61-101 for an exemption from the minority shareholder approval requirement of MI 61-101, as the fair market value of the acquisition does not exceed 25% of the Company's market capitalization. Notwithstanding the availability of exemptions from the formal valuation and minority shareholder approval requirements of MI 61-101, the Exchange may require that the Company satisfy these requirements prior to completion of the acquisition.